What is Lightning Testing and Protection? Any electronic component is potentially susceptible to lightning damage. As sophisticated navigation and communication systems come to play a larger role in maintaining safe flight operations, lightning testing is an increasingly important part of quality control for both military contractors and avionics equipment manufacturers. Accurately replicating the effect a lightning strike will have on a device is the only way to measure its durability. At NTS, we have considerable experience with lightning simulation. Our 2011 acquisition of Lightning Technologies, a Pittsfield, MA based engineering firm and testing lab, greatly expanded our ability to serve the needs of a diverse selection of clientele from around the country. The electrical characteristics of the different types of lightning flashes, and the resulting surges and fields from a strike, are complex. Engineers have found that to study the effects of lightning upon a structure or system, it is most efficient to isolate the components of the lightning waveforms and electrical/magnetic fields and to evaluate their effects through individual simulations. NTS labs include specialized and unique equipment to simulate all the electrical characteristics of natural lightning as well as the transients it induces in electrical and electronic systems. Lightning can affect avionics systems in two ways: directly, causing physical damage due to heat or shock, and indirectly, as a result of earth voltage rises occurring in the aftermath of a strike. Proper testing to ensure lightning strike protection must take into account both factors. 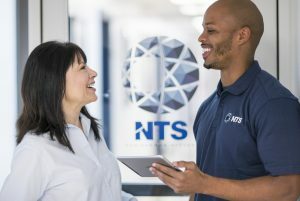 At NTS, we are fully equipped to provide comprehensive testing of both factors, ensuring you are compliant with DO-160 Section 22, MIL-STD 461/464 and other relevant standards. Direct effects — Our direct testing equipment consists of high voltage Marx-type impulse generators that are capable of producing up to 2.4 million volts, and high-current generators specially outfitted to produce over 200,000 amperes of current. Our Pittsfield, MA testing facility includes a high-bay laboratory measuring 40 by 120 feet, suitable for testing smaller aircraft and larger individual components. Indirect effects —Earth voltage rises can cause equipment failure in devices up to a kilometer away from the impact site. For this reason, it is essential to test sensitive electrical and electronic components against the indirect effects of a lightning strike. To do this, we employ specialized devices for complete field and transient analysis, so we can perform pin injection, transformer injection and other tests. Cloud-to-ground lightning strikes can impact equipment as a result of the rapidly changing magnetic and electric fields present in the equipment’s vicinity. In order to determine the effects of this electrical charge, NTS has the capability to apply simulated electric and magnetic fields at the maximum field rates of change at 10 meters, in accordance with MIL-STD-464. Electrostatic discharge (ESD) is the sudden flow of electricity between two electrically charged objects caused by contact, an electrical short or dielectric breakdown. A buildup of static electricity can be caused by tribocharging or by electrostatic induction. The ESD occurs when differently-charged objects are brought close together or when the dielectric between them breaks down, often creating a visible spark. NTS can apply ESDs at ranges of 8 to 300 kV, satisfying requirements of MIL-STD-331, -464, DO-160, and more. Static electricity on airplanes can cause shocks that exceed 100,000 volts. Testing equipment against these possible events can be as important as ensuring proper lightning strike protection. We perform many types of static electricity tests. These procedures simulate the range of static effects: from those occurring on aircraft that can exceed 100,000 volts to the small, but potentially hazardous voltages, produced by manufacturing and material handling operations. NTS has positioned itself as a leader in the field of aircraft lightning protection. In addition to the Pittsfield facility, we maintain multiple labs around the country to conveniently serve aerospace and military contractors from coast to coast. To speak with one of our engineers about our testing capabilities, contact our head office today. We regularly perform a wide variety of indirect-effects verification testing at customers’ facilities around the world for equipment that is too large or prohibitively expensive to transport to our facilities. Contact one of our team members directly to learn about your options and request a quote. Our team can devise a complete testing protocol that simplifies your road to compliance with DO-160, Sections 22 and 23. The NTS lightning test capabilities also meet requirements outlined in EUROCAE / ED-84, Boeing D6-16050-5, Airbus ABD0100.1.2, and FAA Advisory Circular 20-136. 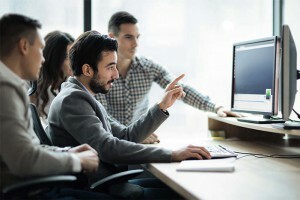 Leveraging our more than 50 years of experience, we provide you with the information you need to develop a quality product that is suitable for any application. To discuss your specific requirements with an NTS engineer, learn more about our lightning simulation capabilities, or request a quote for an upcoming project, contact us today.